from 05:00-19:00 Departure every hour. Spending around 2.5 hours to get to Pattaya. When you arrive “Pattaya Bus station” transfer to the two-row seat bus to Balihai pier. From Bangkok, use motorway or Bangna-Trad road heading to Pattaya. 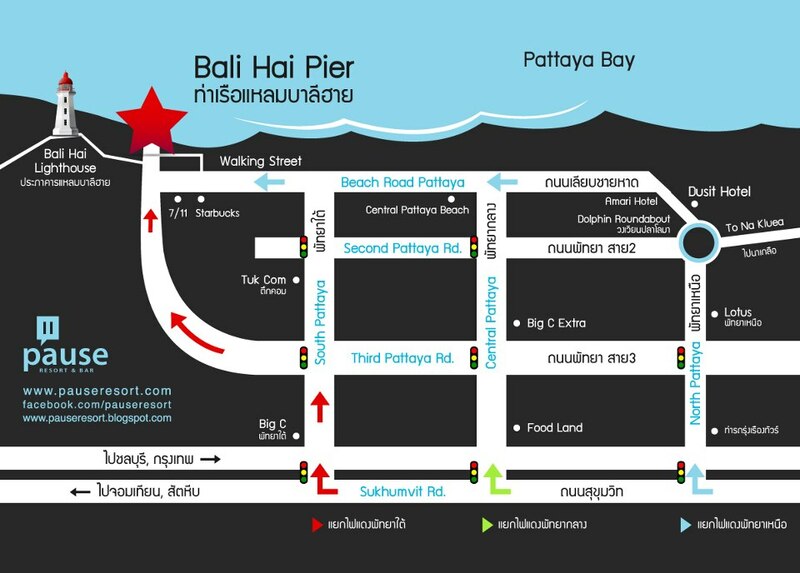 Use Sukhumvit road to get to South Pattaya heading to Balihai Pier. The Blue building at the end of walking street, South Pattaya. The Private Parking Lots around the pier. Please ask people who standing and holding Parking service sign “รับฝากรถ”. 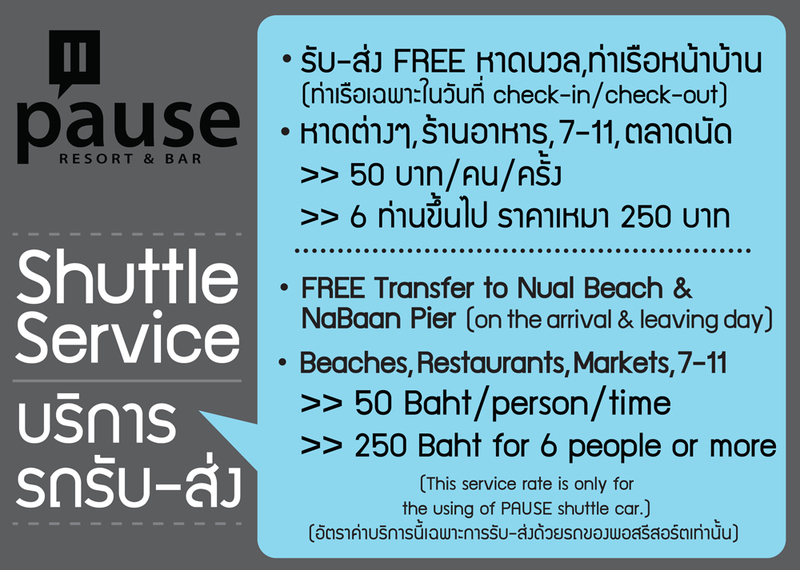 Take shuttle boat at Balihai pier only 30 Baht/person. 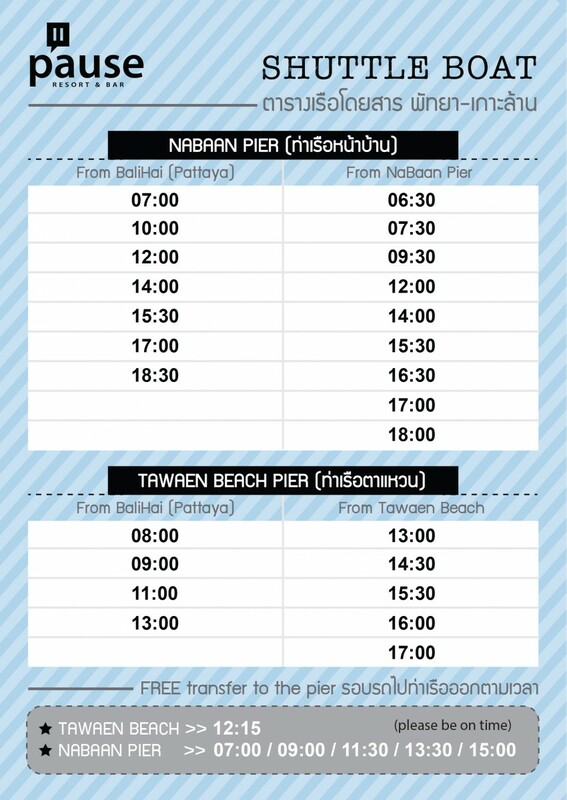 Take Speedboat at Balihai pier 200-300 Baht/person. 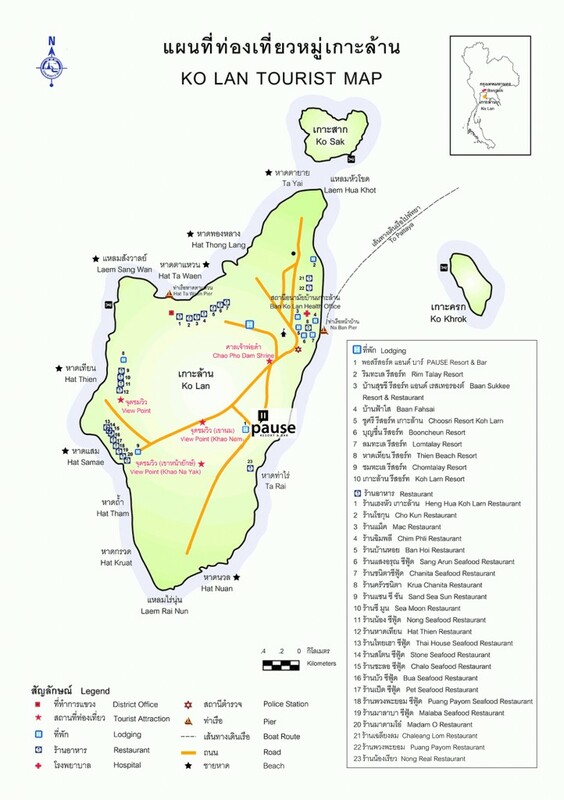 Spend 15 mins to Koh Larn. or just call to ||PAUSE|| to pick you up. Tell the public carrier to go to ||PAUSE|| Resort, the power plant junction. the place where is the gray modern structure on your right hand side.